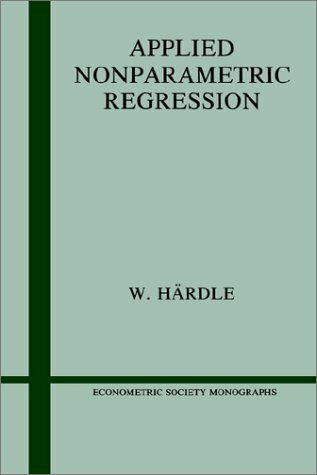 This book represents an optimally estimated common thread for the numerous topics and results in the fast-growing area of nonparametric regression. The user-friendly approach taken by the author has successfully smoothed out most of the formidable asymptotic elaboration in developing the theory. This is an excellent collection for both beginners and experts. This is a draft textbook on data analysis methods, intended for a one-semester course for advance undergraduate students who have already taken classes in probability, mathematical statistics, and linear regression. It began as the lecture notes. This is a short book about the principles of data analysis. The emphasis is on why things are done rather than on exactly how to do them. If you already know something about the subject, then working through this book will deepen your understanding.